Moving Archetypes draws on traditional Indian dance based contemplation practices to facilitate spaces of reflection and insight. Connecting with powerful archetypes through dance contemplation can help us ‘get out of our heads’ and allow for experiencing feelings as spaces of reflection and insight. No previous experience of dance or knowledge of archetypes is necessary. By donation for those who are enrolled in other Moving Archetypes courses. $100 (full) and $75 (concession) for others. A series of 4 fortnightly talks on the foundational aspects of Indian philosophy from an Agama or practice perspective. The talks will introduce seminal practice dimensions of Indian philosophy and reflect on how these are valuable to our times. There will be time for reflections and questions during the talk. Starting Wednesday 8 May 2019. Fortnightly for 5 weeks only. By donation for those already enrolled in other Moving Archetypes courses. $125 (full) and $100 (concession) for others. For those who are looking for a deep immersion into the contemplative heart of Indian dance, Karanas offer a rich and profound practice. Karanas are the 108 dance constellations that are attributed to Siva, the archetypal deity of Indian dance. They are enumerated in the ancient text on dance, Natya Sastra, and are mysterious combinations that contain feeling and dance and take us into realms beyond words. Free intro workshops Tuesday 7 (6-7 pm) and Saturday 11 May (9.30 am-10.30 am). Venue: Currie Crescent Community Centre, 11 Currie Crescent, Kingston. Rasa classes are a fun, accessible and contemporary approach to classical Indian dance theatre. Term 2 2019 will teach choreography of the joyous dance of Siva, the Ananda Tandavam. 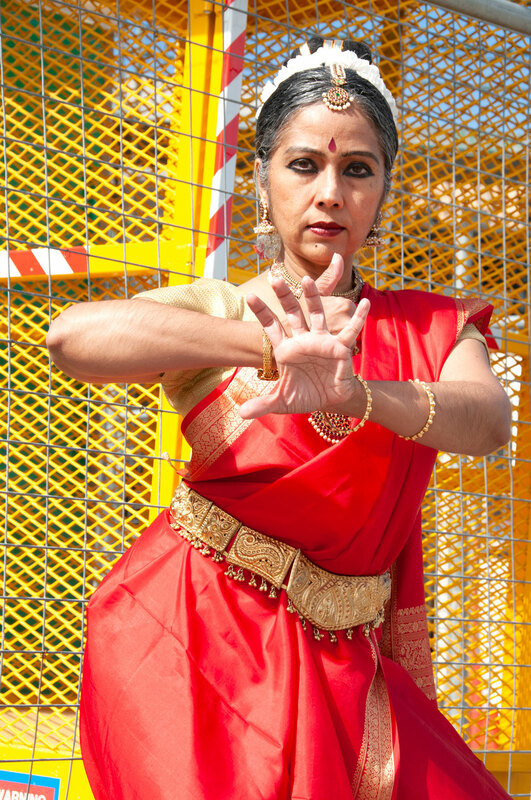 Padma Menon has over 30 years of international experience as a dancer, choreographer, teacher and facilitator. She has performed in hundreds of venues all over the world and created numerous contemporary and traditional Indian dance productions for high profile festivals and venues internationally. Padma enjoyed a successful career in India performing professionally as a soloist since the age of nine. In her early twenties she founded one of Australia’s first professional multicultural dance companies and established a national and international reputation for cross-cultural work. She has worked in Europe in the renowned Korzo Production House as house choreographer and her work has been showcased in international festivals such as Cadance and the Holland Dance Festival. The centre she founded in India in 2006 was part of the arts activism movement in India, working closely with human rights and social justice organisations to raise awareness of issues such as women’s rights. Padma is an exponent of the Indian dance theatre style Kuchipudi which she studied from masters in the traditional lineage. 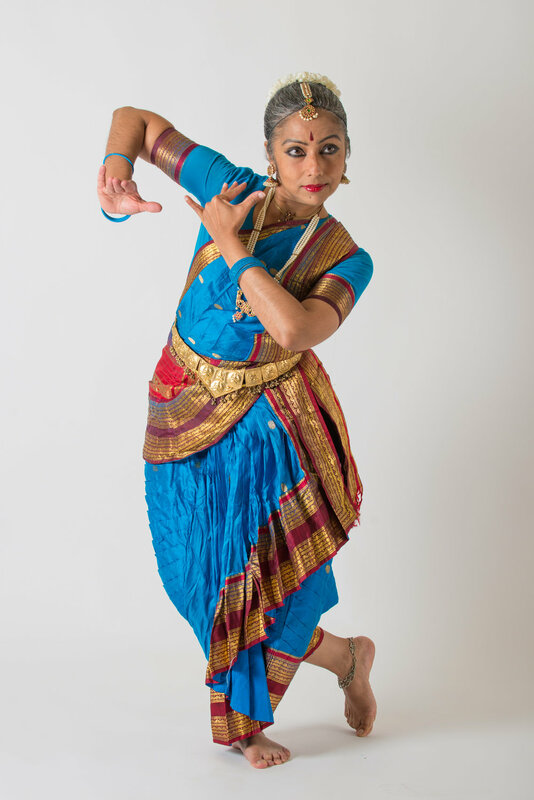 She has also studied Bharatha Natyam and Mohini Attam styles of Indian classical dance. Padma also holds post graduate qualifications in Choreography specialising in Laban Movement Analysis from the Netherlands. She has also studied contemporary western dance, yoga and the Indian martial art form of Kalaripayattu. + What is dance contemplation? Dance contemplation is an approach that uses dance as a way of reflection. Padma’s approach draws on the ancient Indian practice of Rasa where dance is used to facilitate a space for self-reflection and insight. + What does a typical class look like? The main difference between dance contemplation and a regular dance class is where the focus is directed. Rather than focus on choreography and learning movement, dance contemplation invites participants to respond to the dance with a focus on feelings evoked by the archetypes. Drawing from Rasa practice, this approach is directed towards bringing awareness to our embodied experiences without mental narratives. + What will I get out of these classes? enjoy getting to know powerful archetypes from some of the oldest philosophical traditions of the world. + Why does Moving Archetypes use dance and movement? Moving Archetypes uses dance because dance is the language of our bodies. Recent neuroscience research (please see Judith Hanna’s Dancing to learn: the brain’s cognition, emotion, and movement) affirms that dance functions in our brains as a language. But dance is more than simple verbal language because it can express complex feelings and emotions in symbolic and metaphorical ways. When compared to spoken language, dance is poetry. Indian dance theatre traditions are sophisticated and powerful symbolic languages when accessed through contemplative practices. They offer a transformative practice that embraces feelings as its domain. Many contemplative practices struggle with the domain of emotions, often suggesting withdrawal or denial of them. The Rasa practice in dance is a way of ‘meditating’ through feeling. + Do I need to know dance to participate in the classes? No. Padma will introduce you to bridging movement sections and also guide and facilitate more open, creative explorations of the archetype through movement. The classes are designed to encourage a non-judgemental approach to our self, our movement and to others. + Are the classes same as creative, self-expression dance? No. Dance contemplation is not designed for a cathartic process where through self-expression you ‘purge’ your emotions. The aim of contemplation in the dance contemplation tradition is to expand from a sense of individuality towards a more connected experience of life and feelings. The archetypes provide powerful and empowering frameworks that can facilitate this process.